If you think “Mopar or no car” are words to live by, we’ve got the shirt for you! 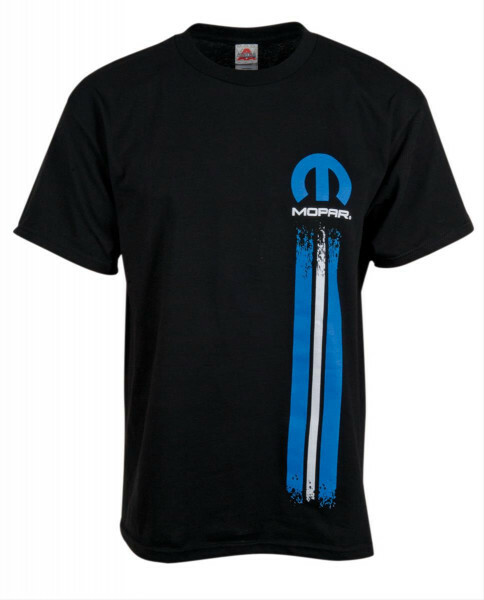 This black, 100% cotton T-shirt features a sporty blue and white racing stripe under the famous Mopar logo. Imported.